Mike Parker offers unparalleled service to ALL clients in the Northern Kentucky real estate market. Your complete satisfaction with our service and representation is our number one priority. Mike Parker serves the entire Northern Kentucky real estate market including the areas of Alexandria, Bellevue, Bracken County, Bromley, Burlington, California, Carroll County, Cold Spring, Covington North, Crescent Springs, Crestview Hills, Crestview, Dayton, Edgewood, Elsemere, Erlanger, Florence, Fort Mitchell, Fort Thomas, Fort Wright, Grant County, Grants Lick, Harrison County, Hebron, Highland Heights, Independence, Kentonvale, Latonia, Ludlow, Mason County, Melbourne, Morningview, Newport, Owen County, Park Hills, Pendleton County, Piner, Richwood, Robertson County, Ryland Heights, S Covington Area, Silver Grove, Southgate, Taylor Mill, Union, Verona, Villa Hills, Visalia, Walton, Wilder, and Woodlawn. Featured Property for Sale: Some of the best properties for sale are displayed right here. As experts in the Northern Kentucky real estate market, we can provide you detailed information on these homes, or any others! 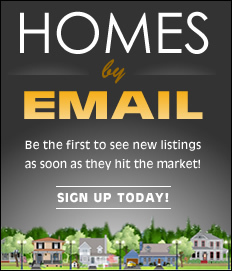 Email Listing Alerts: Be the first to know what's coming up for sale in the Northern Kentucky real estate market with our New Property Listing Alerts! Just tell us what you're looking for and we'll email a daily update of all homes listed for sale since your last update. You can unsubscribe at any time.